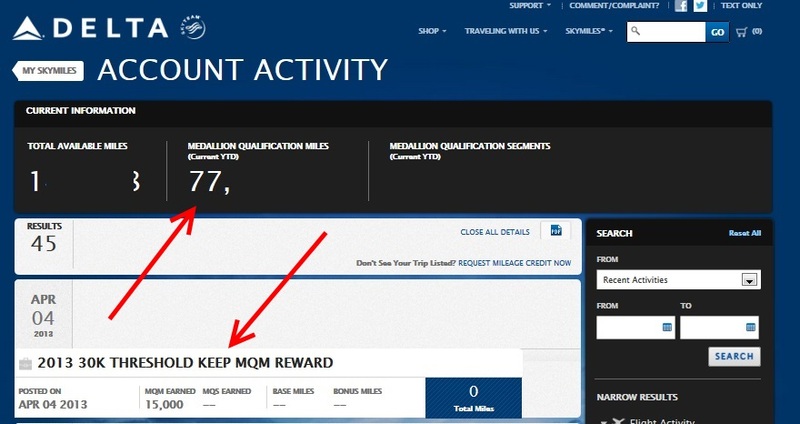 15,000 AMEX DELTA MQM’s & Platinum Medallion already, Diamond Medallion next month! 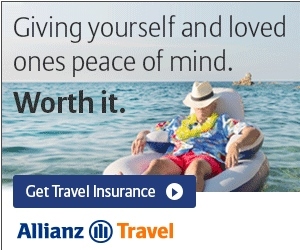 I love this time of year, spring is in the air, the birds are chirping and 15,000 MQM’s had just posted to my Delta Skymiles account and has pushed me over Platinum Medallion for the year (now good till FEB2015 after I spend $25k on my DELTA AMEX in 2014). This came from spend on my business Delta AMEX Reserve card. I also have my own Personal AMEX Reserve card as well and next month there will be another big dump of MQM’s to hit my account once my statement closes (thank you Vanilla reload cards). It is a simple thing to dump the MQM points into your account (once you meet the first or second $30,000 spend point for the year) and I have the links up in the Essentials tab under E18 to get to Delta and see how. May will be a busy month for me as you can see that I will go from 77k-ish MQM’s to well over 125,000 by June 1st! Some will be mileage runs some will be work trips and some will be fun trips to see friends. ← SWAG Saturday and the answer to a reader question! Do you have a post on the best way to FIND and book mileage runs? I did some sleuthing and managed to route a return trip I’m taking for an additional 3000 MQMs (costing 0$ and only a few hours) but I didn’t know what you did for pure high-mileage itinerary locating and booking. Thanks! We only fly Delta and need to acquire more MQM miles for coming year. Would appreciate suggestions on location and which cc to use for Vanilla card since office depot is no longer available. Thanks for all your insight and resarch for flying Delta. According to Delta, the changes to how you earn Medallion status will begin January 1, 2014, and apply to 2015 Medallion status, so you be Platinum Medallion through Feb 2015, without having to spend any money. I am confused by this statement … It is a simple thing to dump the MQM points into your account (once you meet the first or second $30,000 spend point for the year) . Do the points not post automatically to your account from AmEx? We will getting our first round of MQMs in another month or so. Wow! Quick response. Will i earn 2x american express rewards points at CVS? @elaine – no just 1x on Delta cards but look at it this way, buying $1000+7.90 fee earns you 1008 skymiles worth at least 1 cent each so $10.80-7.90 fee you still come out a tiny bit ahead and meet the spend to make MQM spend. Clear?